Many nurseries are designed around a theme, be it colors, shapes, animals, or a wonderful eclectic combination. 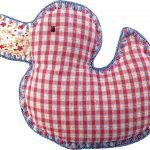 Käthe Kruse has a series of soft rattles in classic fabrics with simple, animal designs that fit well into most nurseries. Soft baby rattles have many developmental benefits including; cause and effect, grasping and finger play, and shape identification. 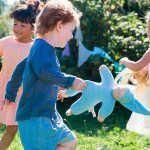 This entry was posted in Products, Lifestyle and tagged tradition, soft toys, nursery on October 10, 2017 by Kathryn Hertzler. Easter is April 16th in 2017 and you don't want to get caught empty handed when you should be filling that Easter basket. 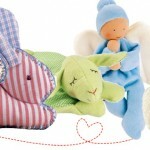 Kathe Kruse @ euroSource has an entire category of soft toys perfect for Easter gifts! You'll find options that span our full soft toy line including towel dolls, teethers, rattles, and warming pillows. Place your order before April 12th and you'll be able to include gifts that create smiles, become favorites, and provide lasting value. This entry was posted in Lifestyle and tagged baby, gifts, Easter on March 28, 2017 by Kathryn Hertzler. Our new video shows how we make towel dolls in the Käthe Kruse factory in Latvia. We start with the finest soft fabrics, then precisely cut the patterns, sew the components together, and add the final touches . This entry was posted in Products, Lifestyle and tagged towel doll, how to on September 15, 2014 by Randall Hertzler. Towards the end of August our thoughts turn to school and preparing our children for a new grade. Each year they, and we, get a little wiser from this process. The owl is a wisdom symbol and here we show several owl toys. 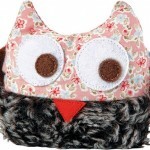 This entry was posted in Products, Lifestyle and tagged toys, baby, owl on August 26, 2014 by Kathryn Hertzler.